A lot happened in 2014. Here are some of the main things that I'd like to highlight. This was the main thing for me this year, in May I left Precedent and joined the Drupal Association. 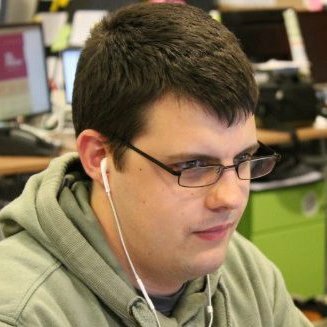 I work on the Engineering team, focused mainly on Drupal.org but I've also done some theming work on the DrupalCon Amsterdam and Latin America websites, and some pre-launch work on Drupal Jobs. Fixing remaining issues from the Drupal.org Drupal 7 upgrade. Improving pages for Supporting Partners, Technology Supporters and Hosting Partners. These previously were manually updated pages using HTML tables, which are now dynamic pages built with Views using organisation nodes. Configuring human-readable paths for user profiles using Pathauto. Only a small change, but made a big difference to end-users. Migration of user data from profile values to fields, and various user profile improvements. This was great because now we can do things like reference mentors by their username and display their picture on your profile, as well as show lists of peope listing a user as their mentor. This, I think, adds a more personal element to Drupal.org because we can see the actual people and not just a list of names on a page. I've started keeping a list of tasks that I've been involved with on my Work page, and will be adding more things as I work on them. I was able to travel to Portland, Oregon twice last year to meet with the rest of the Association staff. Both times I met new people and it was great to spend some work and social time with everyone, and it was great to have everyone together as a team. In February, I attended DrupalCamp London. This was my first time attending a Camp, and I managed to attend some great sessions as well as meet people who I'd never previously met in person. I was also a volunteer and speaker, where I talked about Git Flow - a workflow for managing your Git projects. I was also able to do a little bit of sprinting whilst I was there, reviewing other people's modules and patches. Attending this and DrupalCon Prague in 2013 have really opened my eyes to the face-to-face side of the Drupal community, and I plan on attending a lot more Camps and Cons in the future. I was also able to travel to Holland and attend DrupalCon Amsterdam along with other members of Association staff.